Ashley Monroe’s second Warner Brothers release has been among my most-anticipated albums this year. While it lacks the immediate charm of the wonderful Like A Rose, the Vince Gill/Justin Niebank-helmed set has substance and beauty which grows on repeated exposure to reward the listener. Ashley’s delicately pretty voice is perfect for the vulnerable emotions expressed in many of the songs. Gill and Niebank’s understated production perfectly backs up Ashley’s hushed vocal. The whole thing is quite stunning. The exquisite ballad ‘Has Anybody Ever Told You’ (written with Tyler Cain) is a charming love song supported with lovely steel guitar. Where the hell do I go? This writing partnership also produced the rapid paced bluesy rock ‘Winning Streak’, backed with wild honky tonk piano, on a similar theme, down and out with not even the devil interested. This is less to my taste musically than the other song, but well written and performed. Alexander also co-wrote the contemporary ballad ‘If Love Was Fair’ with Ashley and with Steve Moakler. Miranda Lambert joined Ashley and Jessi to write the closing track, ‘I’m Good At Leavin’’, another excellent country tune, this time about an unapologetic rambling soul and free spirit, given a Celtic style arrangement. ‘Bombshell’, written with Steve McEwan and Gordie Sampson, is about facing the guilty decision to tell a lover she is leaving, and knowing there is never going to be a good time to do it. Very good indeed. Producer Gill co-wrote ‘Weight Of The Load’, a nice song about sharing the burdens of doubt and fear. Ashley’s friend Brendan Benson of the rock band The Raconteurs helped her with the pretty folky ballad ‘Mayflowers’. The first single, the upbeat and catchy ‘On To Something Good’ is agreeable listening if one of the lighter tracks. The one track I didn’t much care for was the repetitive minor-keyed moody ‘I Buried Your Love Alive’ (a co-write with Matraca Berg), and even this grew on me a bit. 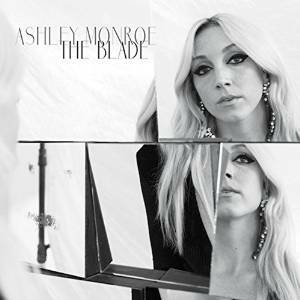 Overall, this is a great album which should raise Ashley Monroe’s profile.